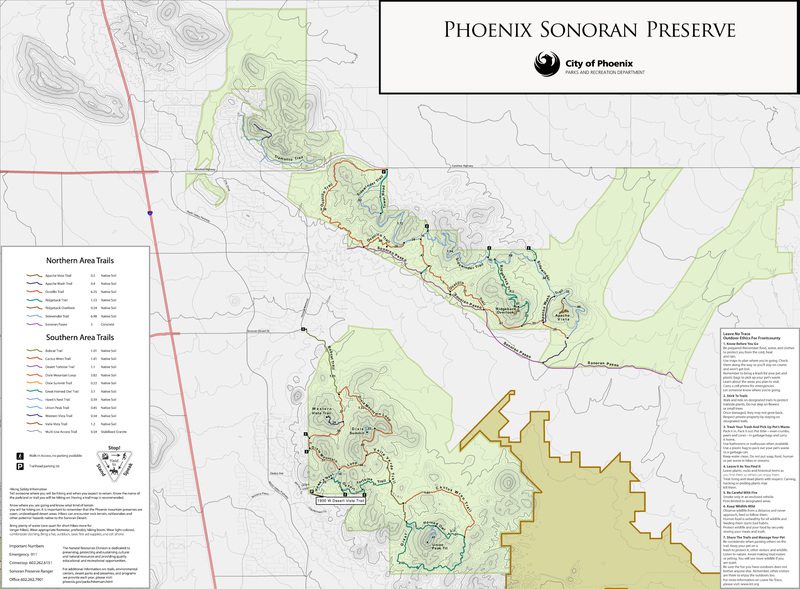 This is another new trail in the Sonoran Preserve-North. 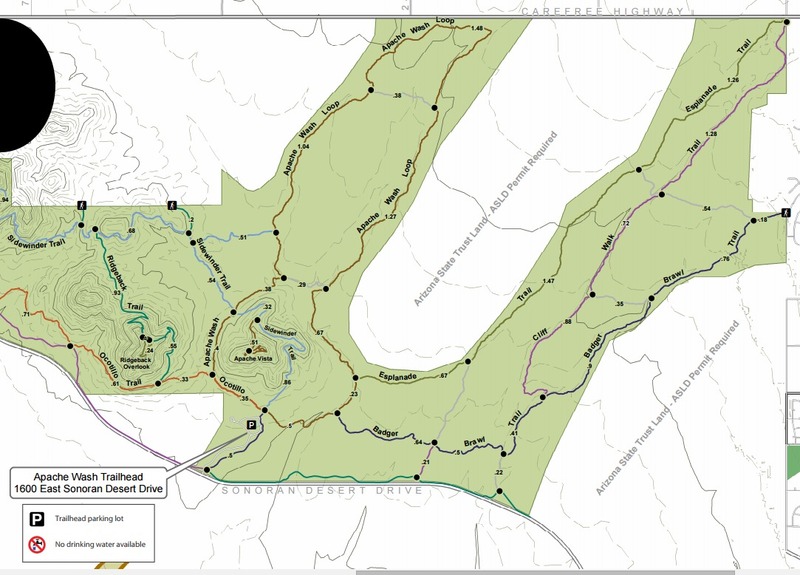 The trail itself is 3.4 miles one way. 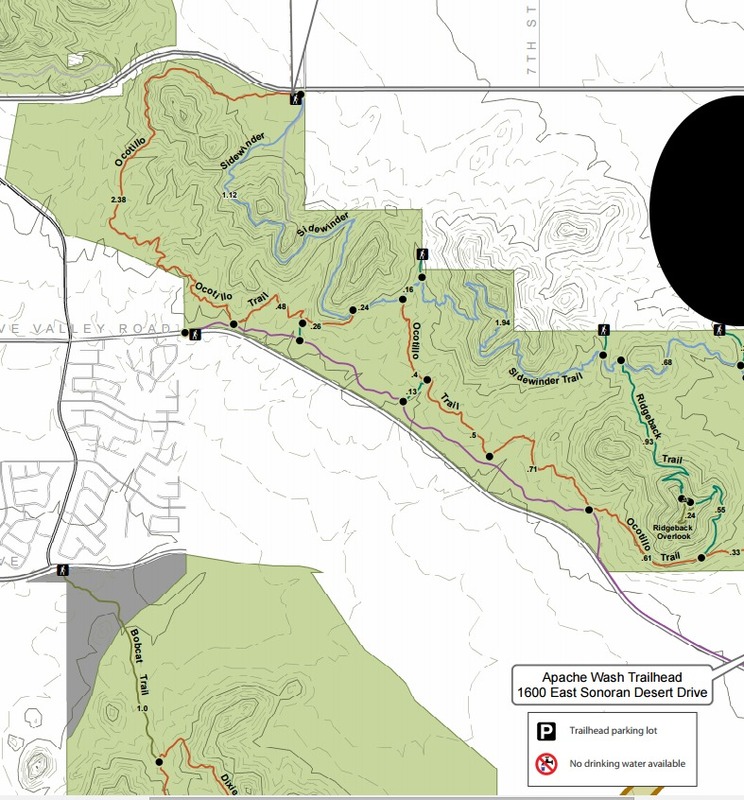 But to get there you will have to hike a half mile up the Apache Wash Loop to the start of this trail. When you reach the end of the trail you will be at 40th street. Now you may be able to park there but I am not sure. The trail itself is fairly flat. You will cross several dry river beds. A couple are pretty wide. I would not recommend hiking this trail after a big rain storm. It looked like it has flooded in the past. It is a nice trail for bike riders. On my February hike, the weather was great. The trail only had a couple of people that were geocaching and one bike rider. Lots of green on this trail with nice areas providing shade when you need it. There is no water anywhere so bring what you need. Really nice Saguaros along and flowers make this a nice spring hike. The trail itself is very well marked and easy to follow. Enjoy! From Phoenix take the 101 east and exit on N Cave Creek Rd. Head north until you reach E Sonoran Desert Dr. Turn left. Drive about five miles and turn right on Apache Wash Trailhead. Restrooms at the trailhead but no potable water.